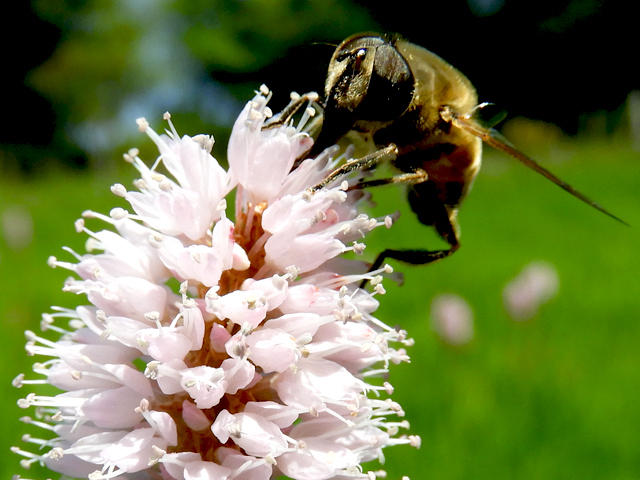 Weeding during the summer months can be a nightmare, not because the weeds are growing any faster but because it’s too hot to weed! Whilst I have managed to keep the shady areas of the garden under control, those which spend the day under the constant heat of the sun have gone a little unattended. Earlier this year we spent weekends uncovering and weeding a little courtyard area that sits to the side of our home. Cobblestones which had not seen the light of day for almost nine years were uncovered, the cracks between them freed of weeds. Fast forward a few scorching, summer months and the weeds have taken hold again! It was whilst I was staring in dismay at the state of this courtyard this morning, that a little flash of colour caught my eye; a Scarlet Pimpernel! Brick red in colour the tiny, five-petalled flowers of Scarlet Pimpernel measure only 4-8mm in diameter. 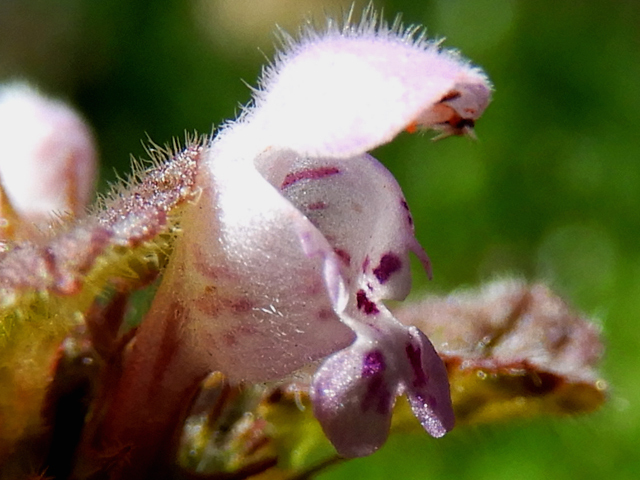 This wildflower prefers well drained, sandy soil and can be found growing in arable fields, on coastal cliffs and roadside verges throughout France. 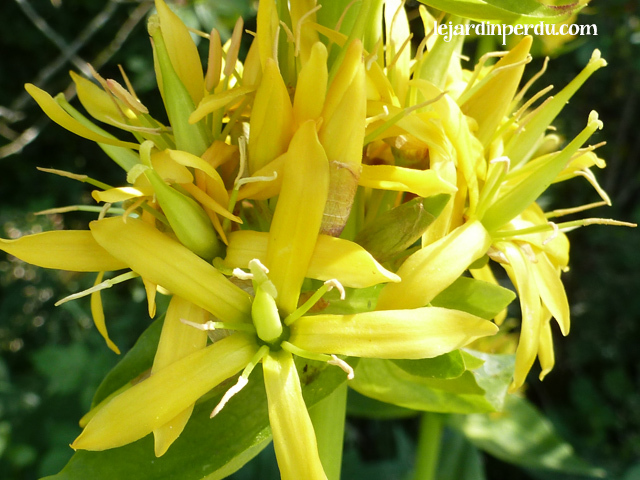 Somewhat reluctant to show off their beauty, these flowers will only open in the morning if the sun is shining, and close again before the afternoon comes to an end. 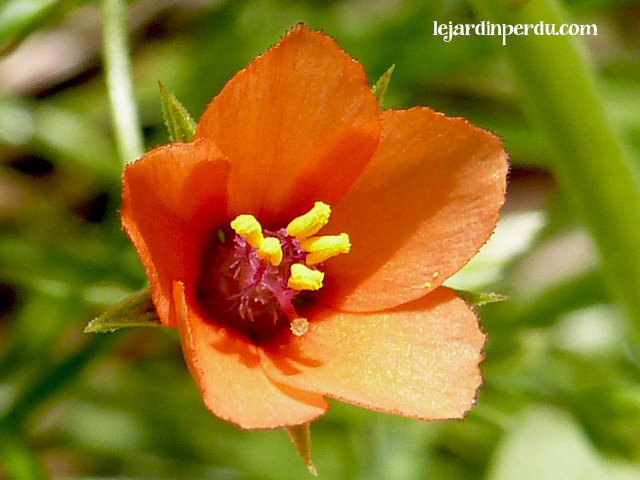 Scarlet Pimpernel is also known as ‘Poor Man’s Weatherglass’ or ‘Shepherd’s Weatherglass,’ as its flowers forecast the imminent arrival of cloud and rain by closing up tight to protect themselves. 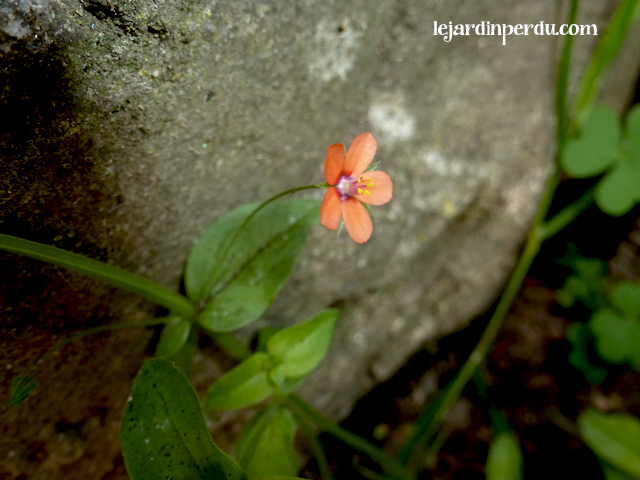 The famous fictional character created by Baroness Emmuska Orczy, The Scarlet Pimpernel, was so called as he left this wildflower as his calling card. 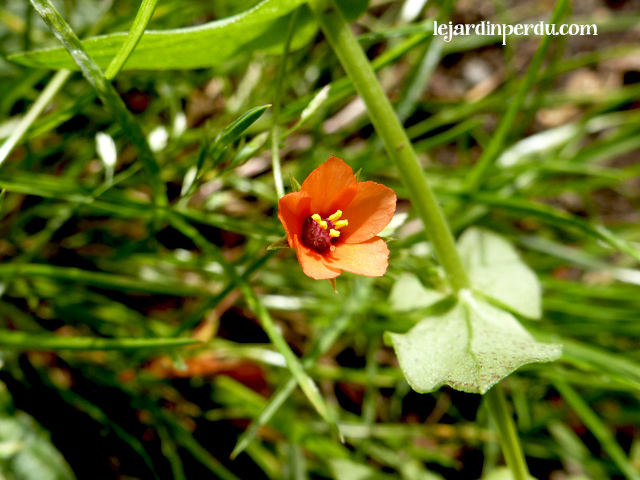 Scarlet Pimpernel flowers from May – October, so it’s still not too late to seek out that elusive Pimpernel!